Today we’re looking at the fantastic book, GOD According to God. I’m sure at one time or another we’ve all had the experience of being so captivated by an author that we want to read everything they’ve written. This has happened many times with a variety of authors from Charles Dickens to Leon Uris to Herman Wouk to Jean Auel. The reasons vary from their writing style, the storyline, the content, the characters…and so on. 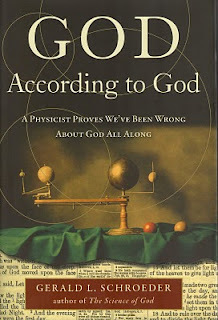 I enjoyed my first taste of Schroeder’s combination of science and theology so much that I’ve found myself wanting more. 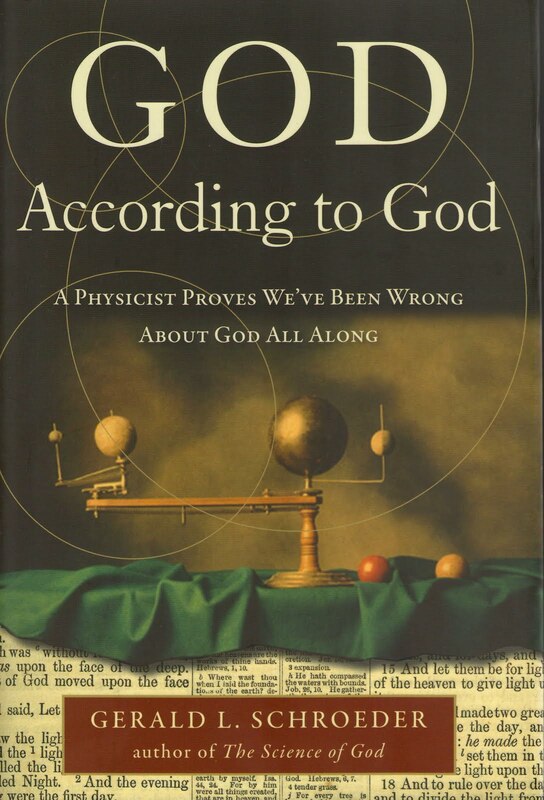 And, happily, I found it in his book GOD According to God…subtitled A Physicist Proves We’ve Been Wrong About God All Along. Utilizing the ancient sages of Judaism and his own training as an MIT physicist and an applied theologian, Schroeder dissects the Jewish Bible searching for clues as to what the creator of our universe is really like. In the process he explodes a lot of myths and invites the reader to look beyond the obvious and see what the hand of God has written between the lines of familiar passages. The God Schroeder presents is neither the vengeful, blood-thirsty ogre some claim to encounter in the Old Testament, nor is he the feel-good Sugar Daddy many would like him to be. Nearly all Jews and Christians would agree that the Bible is the Word of God. You can learn a surprising amount of information about an author from the way in which they express themselves. Join Gerald Schroeder in this exploration of God. Like me, you’ll be surprised and enchanted by Schroeder’s wit and wisdom...and fascinated by the conclusions he draws.